CLOSEOUTS. 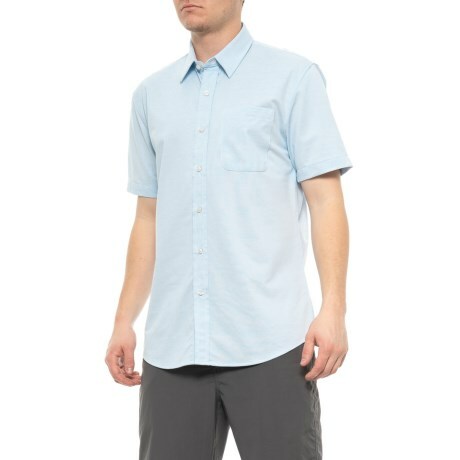 With the look of a traditional button-down and the comfort of a soft knit, Tilleyand#39;s jersey knit shirt keeps you looking professional and comfortable for work-to-weekend wear. Available Colors: BLUE. Sizes: M.